In The Undrowned Child, the mermaids are fierce, greedy and speak rough as guts. You can read more about the feisty Venetian ‘sirene’ in the Mermaids, Sharks & Curry section of The Undrowned Child website. 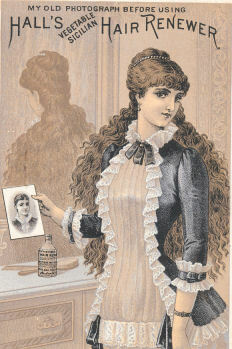 But in The Mourning Emporium, it turns out that their London counterparts are rather posh, not to say prim and prissy. Once upon a time, the London mermaids were famous for their bravery and archery skills. But they have been brought low by taking too many ‘patent nostrums’. 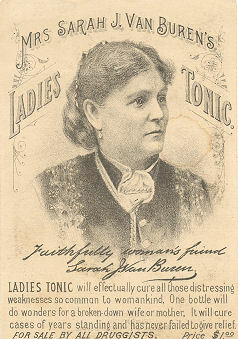 These were drugs that were sold to women in Victorian times, when it was claimed that ladies were weaker than men, and needed ‘dosing’ with all kinds of syrups and tonics with very picturesque names, often sold in beautiful bottles with detailed labels. Unfortunately, many of these drugs were not only useless but sometimes dangerous as they contained alcohol and even cocaine. So it is not surprising that the London mermaids in this book are suffering from feebleness and ‘brain fag’. 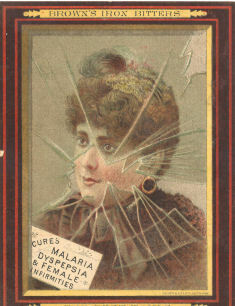 There were so many strange medicines for women that it was not possible to put them all in the book. Here are some left out for space reasons. Also included are some of the advertisers’ claims. Sozodont to make Your Teeth glitter like Orient Pearls! By the early 1900s, the selling of fake nostrums was under attack. Journalists and scientists were exposing the true contents of some famous medicines. In 1905/6, in Collier’s Weekly magazine, Samuel Hopkins Adams published a series of damning articles about ‘The Patent Medicine Trust, Palatable Poisons for the Poor’ in America. 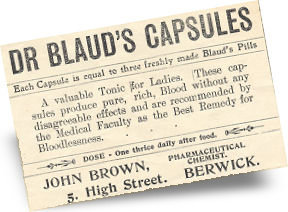 In Britain, the British Medical Association fought back against the quacks with its 1909 publication Secret Remedies – What they cost and what they contain (followed by More Secret Remedies). Scientists analysed the contents of some of the most popular proprietary medicines and revealed their actual contents. The authors contrasted the small monetary value of the ingredients, and their lack of any true usefulness, with the high prices at which the medicines were sold. and then gives 'um Physick which shall infallibly make 'um sick. 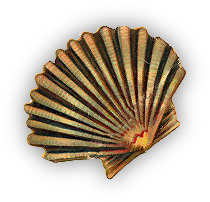 The London mermaids also use a device called an Electropoise (see picture). The Electropoise sat in a bowl of ice or cold water. A cord with a small plate on a buckle issued from one end of the cylinder and was fastened around the wrist or ankle of the ‘sufferer’. (In this book, ‘wrist’, as mermaids don’t have ankles.) 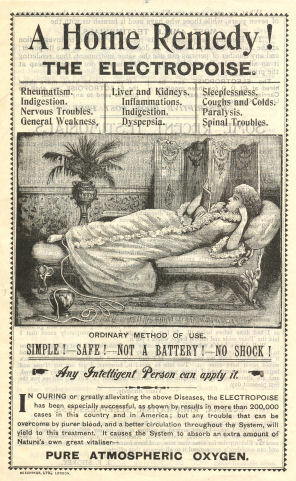 According to the advertising, it was supposed to infuse electricity into the body of the user, allowing her to absorb more health-giving oxygen through her skin and thereby ‘cure Nervous Prostration, Insomnia, Rheumatism, Debility, La Grippe and many other things’. 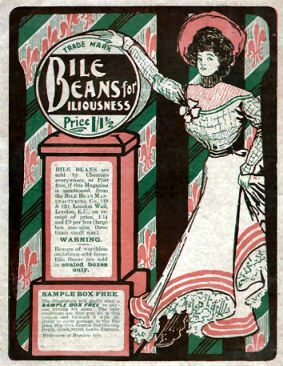 The Electropoise was first manufactured by Hercules Sanche in 1893. Despite the fact that the contraption was completely useless, he sold it with great success for at least forty years. 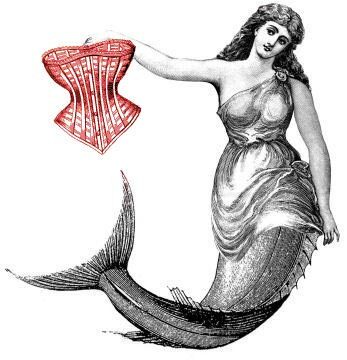 Another item worn by the London mermaids is the Electropathic corset, and this really existed too. 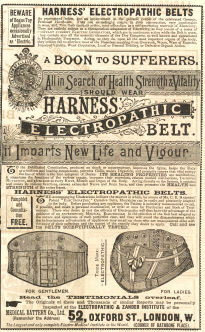 Doctor Geoffrey A. Scott sold several different models of his ‘unbreakable electric corset’, which he described as ‘charged with electro-magnetism’, asserting: ‘They quickly cure in a marvellous manner, Nervous Debility, Spinal Complaints, Rheumatism, Paralysis, Numbness, Dyspepsia, Liver and Kidney Troubles …’ Each corset came with a compass for testing its electro-magnetic response. 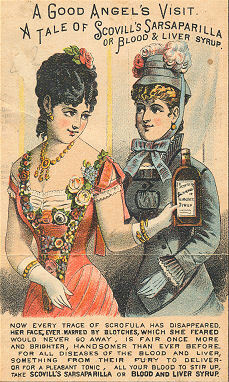 Corsets tortured women right up until the early twentieth century. 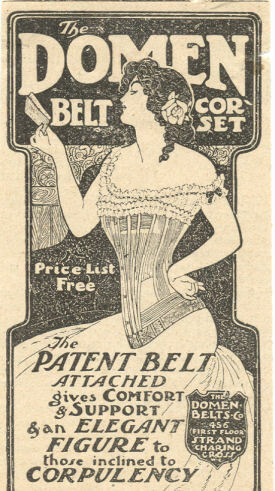 One of the death knells to the corset was a piece of research published in London in 1904 by Dr Arabella Kenealy. She ordered a set of miniature replica corsets of the time and had them strapped onto monkeys, who reacted with great distress that according to the doctor ‘did extreme credit to their perception and sagacity. The physical results were as disastrous as they are instructive. For it was found that those which were corseted and laced at once to the regulation V-shape of fashionable woman died in the space of a few days’. The London mermaids’ waists were encumbered with stout buckled corsets with labels that read: Harness Electropathic Belts for the Weak and Languid: Imparts New Life and Vigour. ‘In flam-sauce,’ agreed Catalina, with feeling. ‘Caulk me dead lights!’ moaned Flos. The unfortunate crew of the Scilla are subjected to doses of horrible worm medicines. 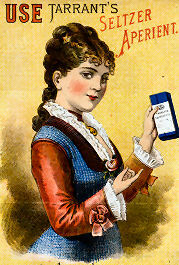 Worm treatments for children were very popular in Victorian times and earlier. 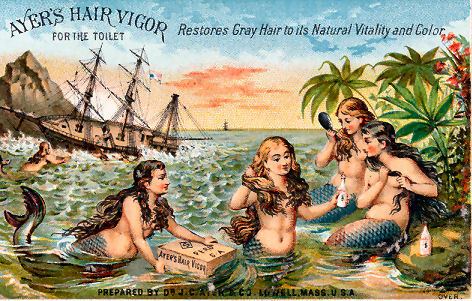 An American manufacturer explained the workings of his product in graphic style on his trade card: ‘The Rev. William Roulatt, a well known Methodist clergyman residing at Naples, draws the following amusing but apt comparison between Dr. C. McLane’s Vermifuge prepared by Fleming Bros. of Pittsburgh, Pa., and a ferret.